I want to share a bit of migration trivia with you today, to remind us all of the enormity of what these birds do twice each year. It’s mind-blowing when you think about it. 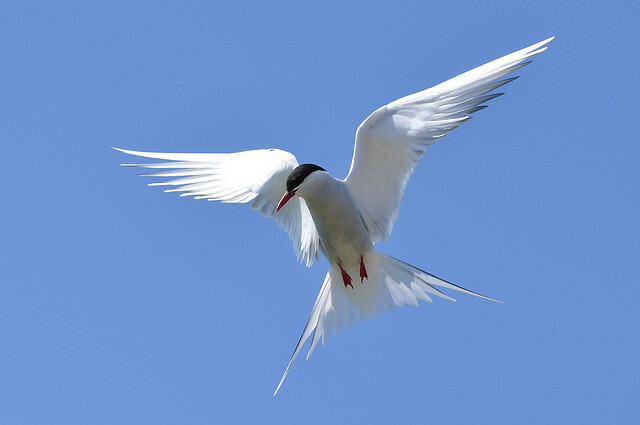 The longest known bird migration is by the Arctic Tern, which can travel up to 25,000 miles per year in its two migrations. It flies from the Artic to the Antarctic and back, crossing the entire planet each year! Before embarking on their journeys, birds experience hyperphagia, a period of nonstop eating designed to put on body weight. Some birds actually double their weight before the trip and burn off all the excess fat before finally arriving on their breeding grounds, exhausted and starving. Raptors, swallows, and waterfowl migrate during the day. 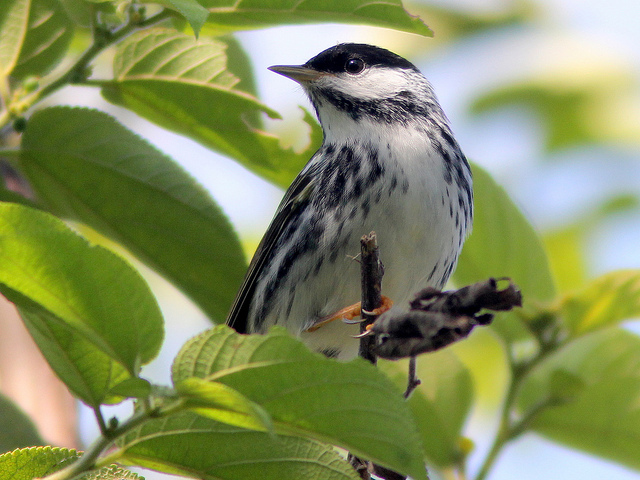 Songbirds generally migrate at night. This may be because they need the daytime to feed and replenish their energy; conveniently, it may also help them avoid many predators–like raptors–who migrate during the day. Birds aren’t the only animals that still migrate–whales also migrate twice each year. And many insects migrate as well; the best-known insect migration is that of the monarch butterfly. But the monarchs that winter in the mountains of Mexico will not make the journey more than once. 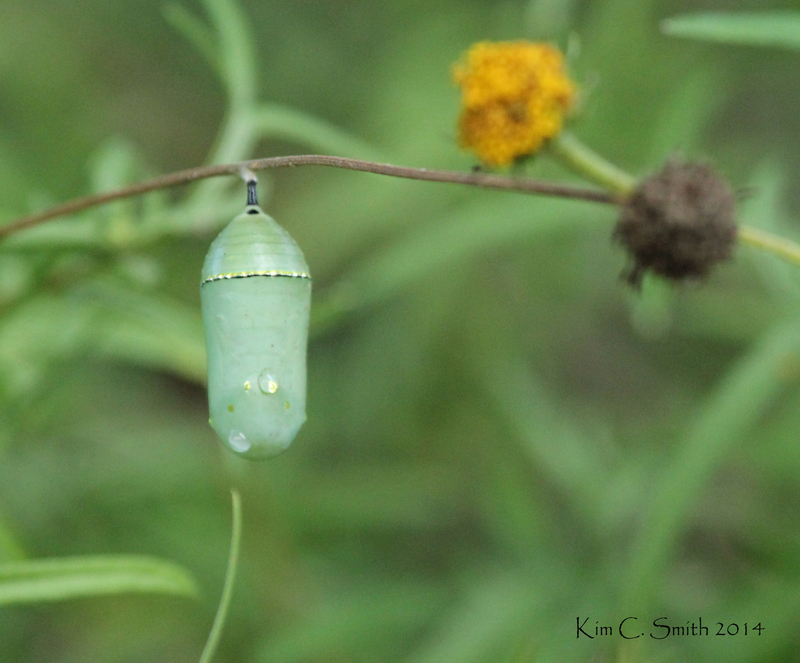 On their way north in the spring, the females stop to lay eggs on milkweed plants as they travel. Some of the adults will make it all the way north, but most will die along the way. The next generation emerges from their eggs and continues northward. When you see a monarch with tattered wings early in the season, that’s probably one that wintered in Mexico. The newest generation will have fresh, untorn wings. According to MonarchWatch.org, summer generations only live two to five weeks; the last generation of the summer is the one that migrates to Mexico, and that generation can live for eight or nine months. 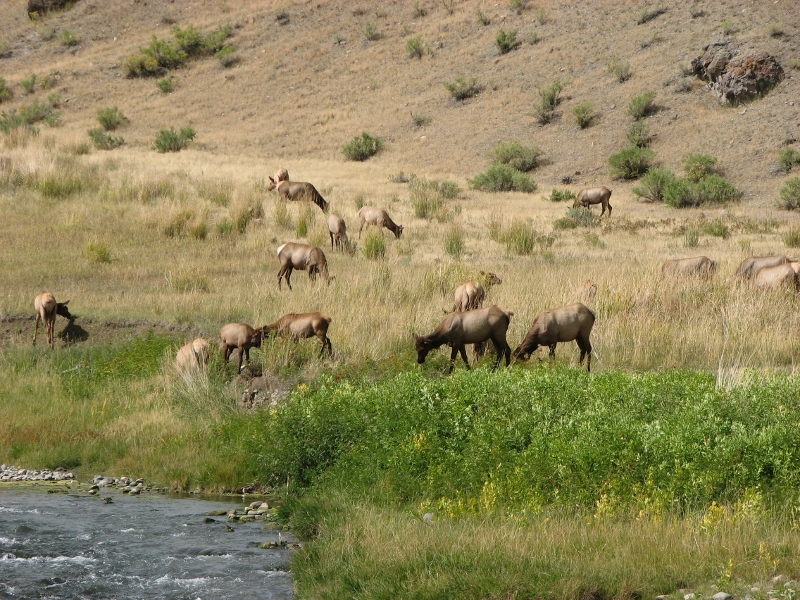 Some large land mammals still migrate in Africa, but the only remaining one I know of in North America is the elk. Many thousands of them migrate each year in and around Yellowstone National Park. Most other land mammal migrations on this continent have been disrupted by the ever-expanding human population and our need for homes and roads. I hope you learned something from this, as I did while writing it for you. 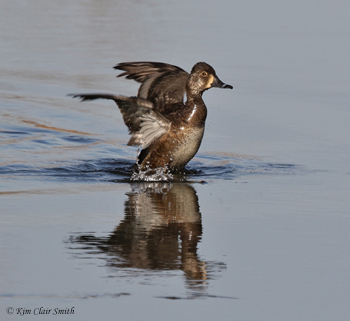 Now get outside and tune in to the wonders of bird migration! See you on the trails…. This entry was posted in Migration and tagged #birdsrule, Biggest Week, biggest week in american birding, Migration, Migration mania, trivia, zugunruhe. Bookmark the permalink. 8 Responses to Zugunruhe: Do You Feel It? Good interesting article on migrations, Kim! What an informational and educational post Kim! The past month I have noted large groups of Canadian Geese and Sandhill Cranes flying overhead, heading to the north. While walking through the woodlands to the river lately, I’ve managed photographs of birds not normally seen here, and when I research the species, most of the time I see it this as a migration route for that particular species. In a way, it feels good to know this region offers a bit of respite for birds on their way up north. And I am also happy that bird song fills the air this time of year. I do miss the chatter over the winter months! Lori, those Sandhill Cranes are most likely headed for Nebraska, where they rest along the Platte River for a few weeks before continuing their northward journey. Visiting the Platte for the amazing Sandhill Crane migration is one of the top priorities on my travel list for the next few years. I’ve seen the cranes when they congregate here in Michigan (a few thousand at a time) but the numbers in Nebraska are much higher. And I agree with you — I miss hearing bird songs in the winter too! I got out for a little while today and heard my first singing meadowlark of the year. I pulled off the road and just sat there listening to it for ten minutes or so. One of my favorite bird songs! Spring bird migration is something I look forward to from the time most of them leave in the fall. 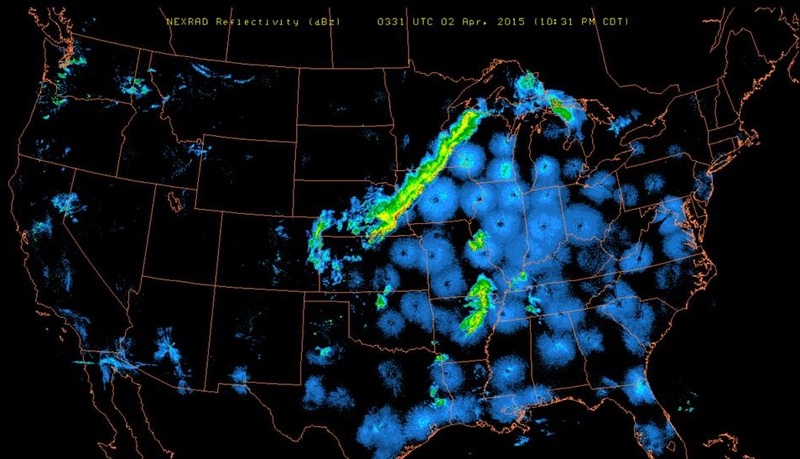 Bird migration is just amazing. I agree, Gail. The more I read about how birds migrate, the more amazed I am. Kim this is such a wonderful post I love the map. I was wondering why all the birds were in a state of frenzy its autumn now I expect after reading this most of them including my swallows are getting ready to leave. Then I get to see my winter birds like the red robins. Thank you for such interesting content. I think migration of any sort is an amazing thing. Hey Kath, I found Australia’s National Radar Loop website: http://www.bom.gov.au/products/national_radar_sat.loop.shtml. Maybe you can find the bird migration circles for your area on there!